Amazing River & Sunset Views! 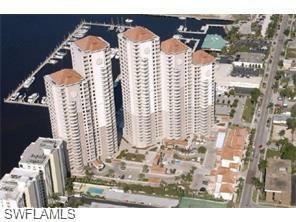 Once you walk into this 27th floor condo you will see the Caloosahatchee with beautiful breath taking views. The chef-friendly kitchen features abundant granite counter space, stainless appliances and large pantry. Newer washer & Dryer. Your master bedroom retreat has custom window treatments and crown mouldings, walk-in closet closet and ensuite bath with dual vanities, jetted garden tub, and large shower. 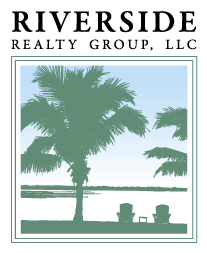 This private unit lets you enjoy UNOBSTRUCTED views of the Caloosahatchee River and the Downtown River District. Boaters, there is a marina next to High Point Place. You're certain to enjoy the best of city living at the most luxurious condominium complex in the city! The second/guest bedroom has its own private city/riverfront balcony and attached bathroom that is a Jack & Jill bathroom with the 3rd bedroom. Amenities included are 24/7 security, resort like heated pool, hot tub, sauna, fitness center, gathering room, conference room, cabanas, BBQ grills, and guest suites for family & friends. Enjoy Downtown living day and night in the River District of Fort Myers, walk to the grocery store, restaurants, shops, Centennial Park, theater and more.